SAN FRANCISCO, Feb. 05, 2019 — CoverHound®, the property and casualty (P&C) insurance platform for digital distribution, today announced it has raised a $58 million Series D funding round. Global specialist insurer Hiscox led the round, with additional investors including leading insurance providers Chubb, Aflac Ventures and Japan-based MS&AD. CoverHound worked with Allen & Company LLC on the Series D, and the latest round brings the total capital raised since its launch in early 2010 to over $112 million. Over the past eight years, CoverHound has successfully sold more than 200,000 policies and continues to deliver fast, accurate and actionable business and personal insurance options. CoverHound, via its subsidiary CyberPolicy™, helps small businesses compare, quote and buy cyber insurance online. Cyber insurance is a critical need for over 30 million small and medium-sized businesses operating in the US. CyberPolicy is committed to educating, serving and securing this critical demographic and recently released key industry findings, customer profiles and market predictions that demonstrate the rapid growth of the SMB cyber insurance market. 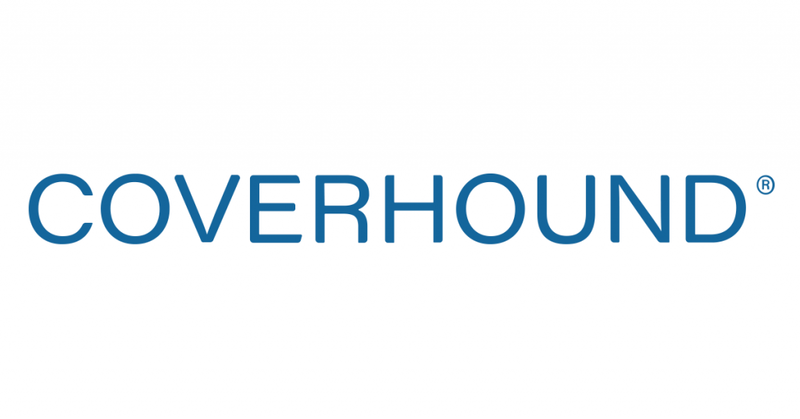 In addition to fueling the continued development of CyberPolicy, this funding round allows CoverHound to expand its offices beyond San Francisco and Westlake Village, California to Charlotte, North Carolina and drive the company’s international expansion efforts into Japan and other global markets. The investment will also support CoverHound’s already strong branded partnership growth, with more well-known partnerships with banks, large insurers and technology providers already lined up for 2019. This past November, CyberPolicy began providing cyber insurance options through Progressive Insurance to provide more SMBs access to cyber insurance. In May of 2018, CoverHound partnered with Hiscox to offer cyber insurance via CyberPolicy. CoverHound is an insurtech company for consumers and businesses to easily compare and purchase insurance, built to deliver fast, accurate and actionable rates from leading US carriers based on their specific needs. Some of the top carriers include Chubb, Hiscox, Progressive, Liberty Mutual, biBERK, Safeco, Nationwide, Mercury, Hartford Steam Boiler and others to offer the most competitive rates and coverages in 50 states. Developed by a team with deep insurance and online financial services experience, CoverHound is dedicated to providing the best in class customer experience and has an industry leading Net Promoter Score of 82. CyberPolicy: In 2016, CyberPolicy (a subsidiary of CoverHound) became the world’s first marketplace to help small businesses compare, quote, and buy cyber insurance online in minutes. Since then, CyberPolicy has expanded its cyber insurance offerings to cover 98 percent of small business types with up to $250 million in revenue. CyberPolicy partners with market leaders including Chubb, Hiscox and others to develop extensive bundled cybersecurity offerings to help small businesses “Plan. Prevent. Insure.™” against cyberattacks. CyberPolicy is a wholly-owned subsidiary of CoverHound Inc.